Meryl’s preferred style of creating is to have three or four pieces in progress simultaneously in all different stages. 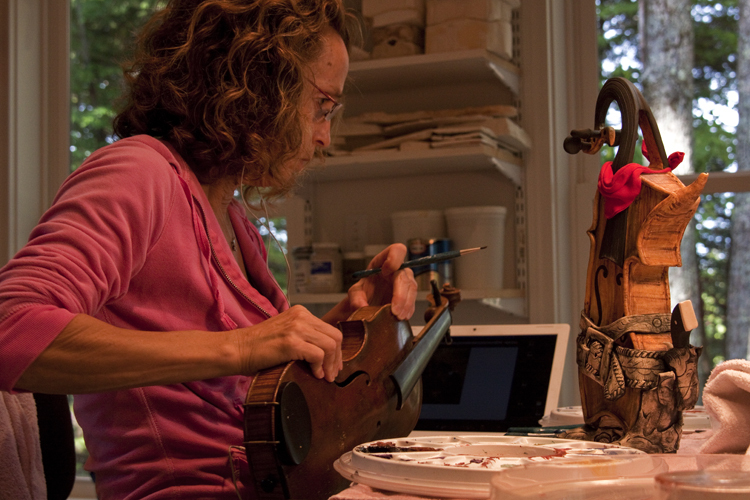 During her time in the studio each day, she moves fluidly from working on one piece to another. She recognizes that her creative process requires allowing time for each piece to unfold as new ideas brew.